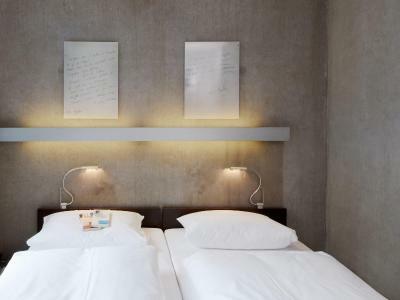 Lock in a great price for Hotel Wedina an der Alster – rated 8.9 by recent guests! Very comfy room, located in a building opposite the reception. Pleasant staff, a good value hotel around the corner from the Le Meridien. Staff were really friendly and the location is great. 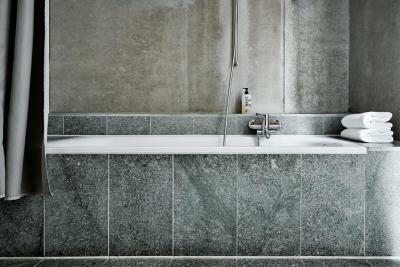 Bathroom is nice too. There are also these neat electronic blinds that open when you enter the room. Pretty fun design! Very close to the lake, nice location, neat and clean. The staff was very welcoming and the room was wonderful and even had a balcony. The area had many restaurants and wine bars and it was just down the street from the lake. 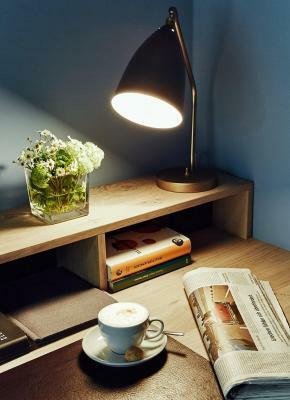 The very nice and peaceful design of the roots, + one of the best breakfasts I have had in a hotel, with personal and gentle staff. 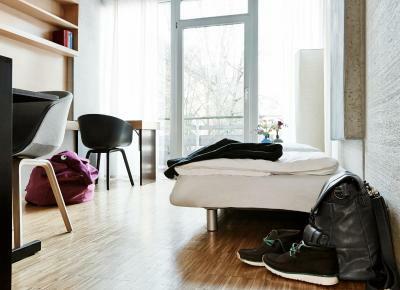 This is a great place to stay in Hamburg: close to the railway station and to city transit. Just a block away are shops and restaurants. 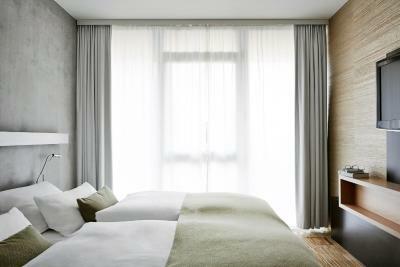 The rooms are comfortable and the breakfast is varied and filling. Food and drinks are available through the day and evening and the lounge area is a comfortable place for your friends to meet you. Staff were very friendly and helpful. The hotel is in a great location and you can hire bikes from reception for a small charge to see more than just the city centre. 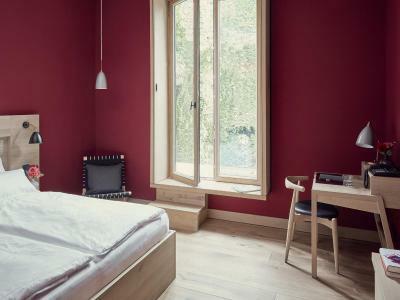 Modern renovated rooms in an old house. 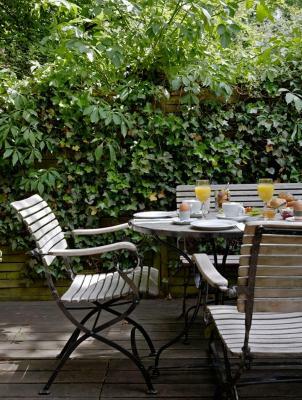 Nice garden and breakfast room. Quality foods for breakfast. Friendly staff and unique atmosphere. 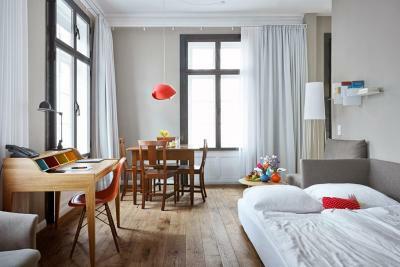 Excellent location in a lively neighborhood, close to the Alster and reasonably close to the train station. Newly rebuilt with good quality materials. Wonderful breakfast. Lovely staff. 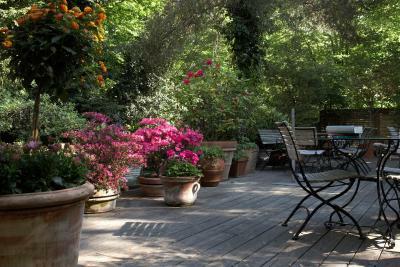 Lovely patio area. Spacious room. Fine location. 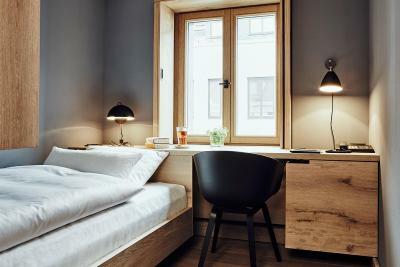 Hotel Wedina an der Alster This rating is a reflection of how the property compares to the industry standard when it comes to price, facilities and services available. It's based on a self-evaluation by the property. Use this rating to help choose your stay! 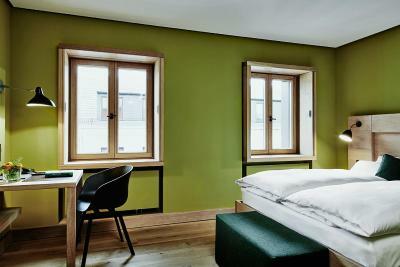 This hotel is located in Hamburg-St. Georg, just 500 feet away from the Alster Lake. 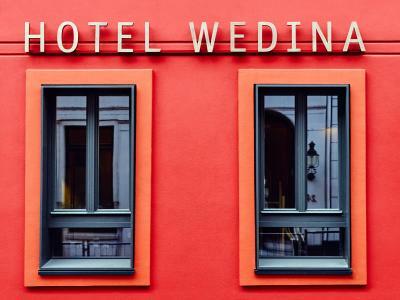 Hotel Wedina offers urban design. 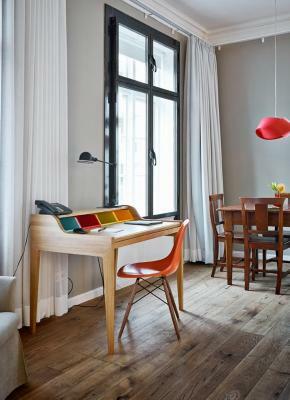 The individually designed rooms at the Hotel Wedina an der Alster are located in 4 color-themed buildings (red, blue, green and yellow) and exude a love for literature. 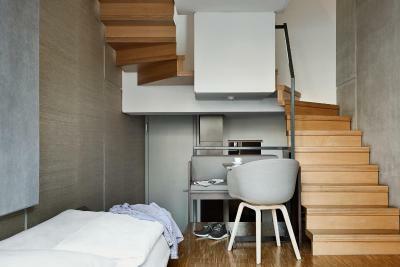 All rooms include free WiFi, wooden floors, a safe and a private bathroom with a hairdryer and a bathtub or shower. The red building contains the house library with the works of over 300 contemporary writers. The blue house contains 14 authors' rooms. The green house features avant-garde architecture and books around the topic green. The yellow house houses Hamburg literature. The Hotel Wedina’s breakfast buffet includes organic food and homemade specialties. Guests can purchase drinks and snacks in the Wedina’s lobby. There is also a free internet terminal and a selection of daily newspapers here. 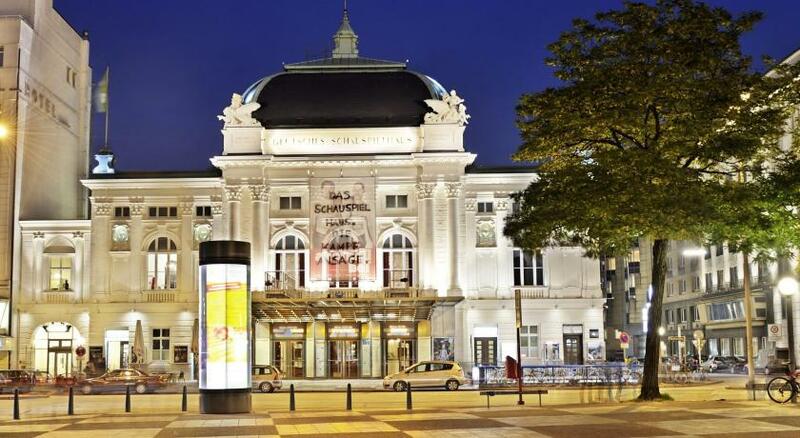 Hamburg Main Train Station is an 8-minute walk from Hotel Wedina an der Alster, and there are many theaters and museums within walking distance. Bicycles can also be hired at the hotel reception. 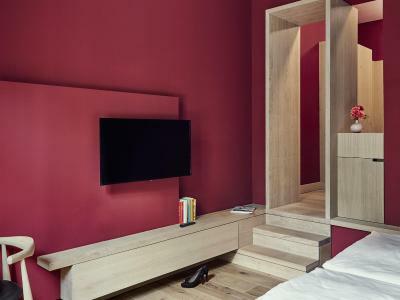 St. Georg is a great choice for travelers interested in shopping, convenient public transportation and city walks. 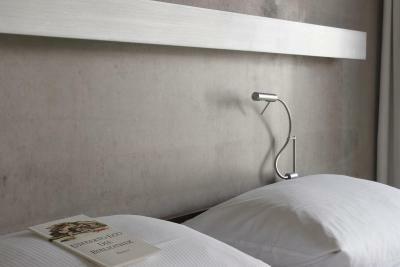 When would you like to stay at Hotel Wedina an der Alster? 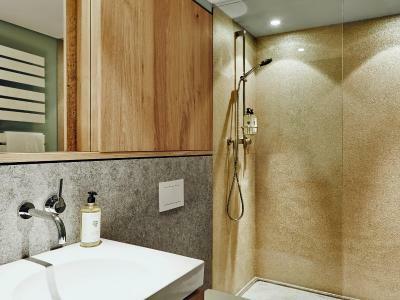 Features a private bathroom with complimentary toiletries and a hairdryer. The size of this room category ranges between 56 ft² - 62 ft². 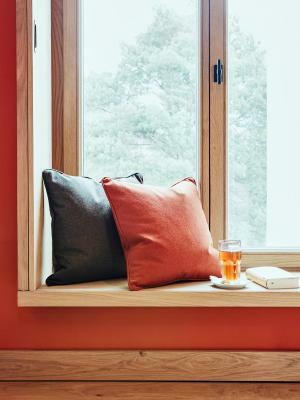 This room category offers a garden view. 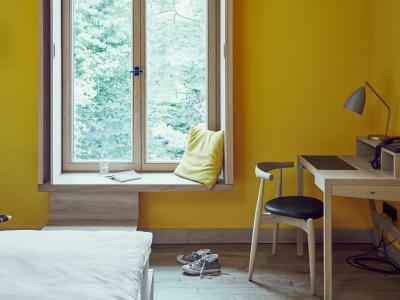 Studio with separate living and sleeping area (430 ft²) in the Yellow or Green House. Hotel surroundings – This neighborhood is a great choice for travelers interested in shopping, convenient public transportation and city walks – Check location Excellent location – show map Guests loved walking around the neighborhood! 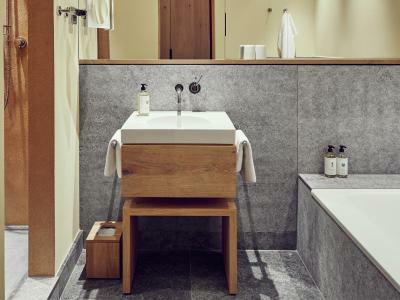 House Rules Hotel Wedina an der Alster takes special requests – add in the next step! 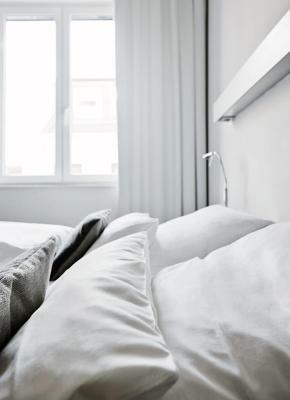 Hotel Wedina an der Alster accepts these cards and reserves the right to temporarily hold an amount prior to arrival. Please note that the breakfast area, the garden and the library in the red house will be undergoing renovations until further notice. During this period the breakfast will be served at the cafe (Cafe Gitane) across the street. 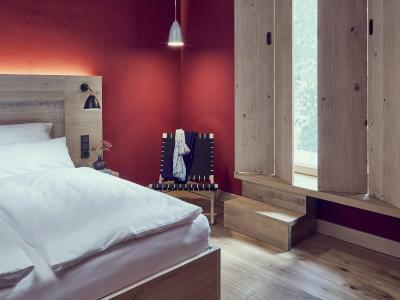 Very nice and cosy modern hotel, interesting and nice design of the room. The room and bathroom was clean and well furnished. 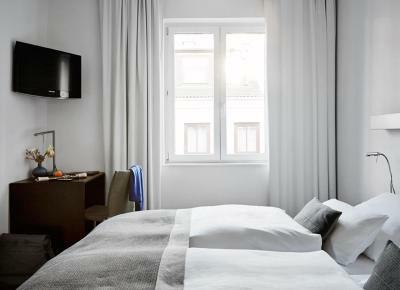 The location is great, very close to the train station and within walking distance of the city center; lot of diverse cafés and restaurants around; but the hotel itself is in a very quiet street. The staff was extremely friendly and helpful. 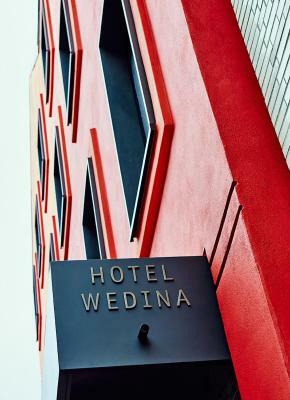 I felt very comfortable during my (far too short) stay at hotel Wedina; will definitely come back! There is nothing special about this hotel. The rooms are less fancy than they seem in the photos. And perhaps a little bit small for business trips and long stays. The room looked like an apartment. There was a bottle of water as a present. There were a few stains about in the bedroom, on the wall and one of the chairs that brought down the feeling of cleanliness (Bathroom was okay though). The heater takes a long time to change and on the default setting that it was on when we checked into the room, we found that it was so hot through the night that my partner found it hard to sleep and had to sleep without a blanket or anything on and we had to open the window to the outside Winter air too. I stayed alone - no single rates/reduction/small room - although good quality. 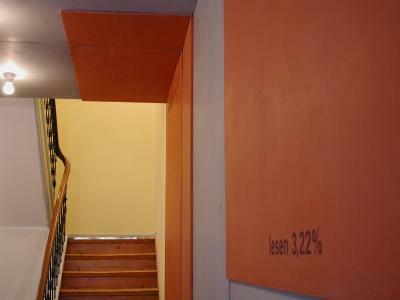 Entrance/communal stairways are rather utilitarian! Super clean, good quality - no frills! The owners (who were there in the evening) were charming and helpful/went out of their way to make my stay comfortable. Relaxed atmosphere but efficient. Quiet. 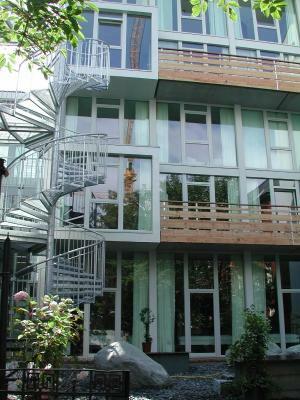 A lovely modern and clean property close to the central train station of the city of Hamburg. Professional staff at reception. 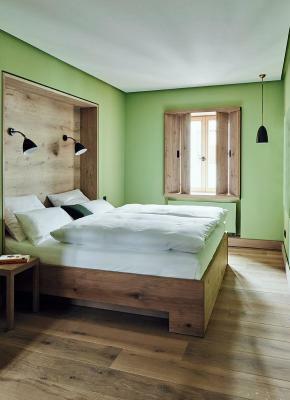 Spacious rooms with wooden floors. Has exceeded expectations. Room was slightly too hot even with the controller setting all the way down. Wonderfully stocked bookcases in entry/breakfast area. 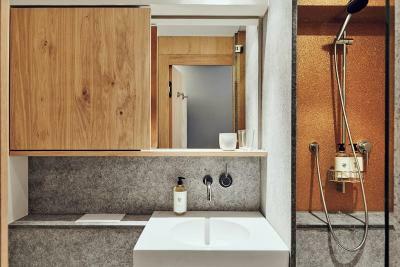 Bathroom included elegant toiletries and hair dryer. 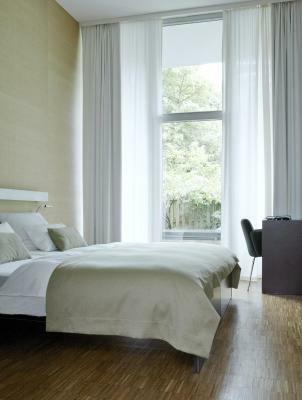 Quiet and clean room with practical wood shades, to provide silence and a good nights' sleep. 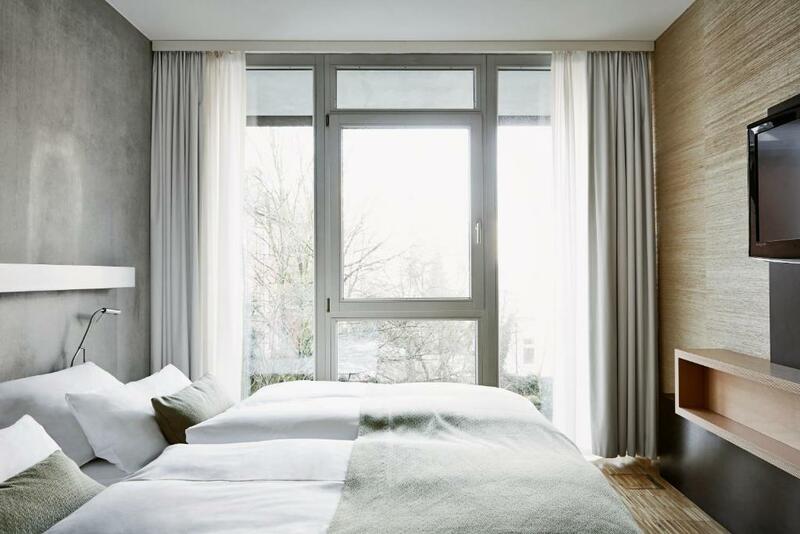 Excellent location for walking to trendy shops on Lange Reihe, many restaurants and cafes as well, main train station a few minutes away. Polite staff, will definitely go back! Good location! Nice place and very kind personal. 14.50 euro for breakfast is a little expensive, so we didn't get to try it. Lovely atmosphere, very friendly and helpful staff. Delicious breakfast which was very good value. Lovely neighbourhood.